Hill Climb Racing 2 - Sequel to the most addictive and entertaining physics based driving game ever! And it's free! Newton Bill is Back! After journeying to where no ride has been before, Bill is ready to challenge the whole world in Hill Climb Racing multi player madness. Face new unique challenges in unique environments with many different cars. Defeat your opponents and collect big bonuses to tune your car and reach ever higher positions. With little respect to the laws of physics, Newton Bill will not rest until he has defeated all his opponents on the highest hills! Bill still likes to take some time off racing to just conquer hills. Original distance based game play is still here to enjoy! Hill Climb Racing 2 is free to play but there are optional in-app purchases available. We'd appreciate if you'd report any issues you're having with the game to support@fingersoft.net, please include your device make and model. Hill Climb Racing is a registered trademark of Fingersoft Ltd. All rights reserved. 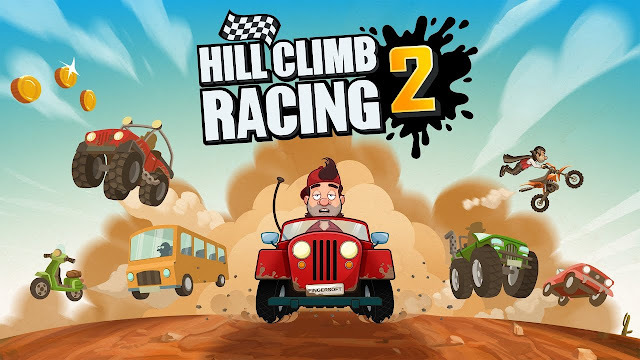 Hill Climb Racing 2: install APK and play the game.